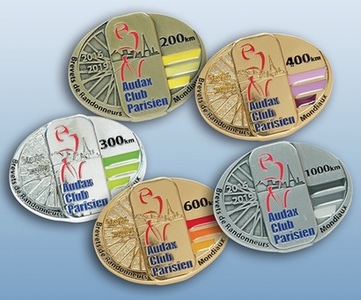 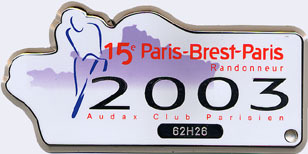 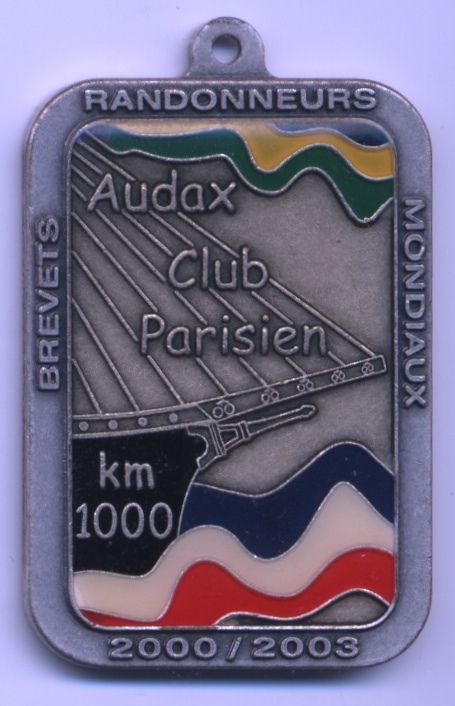 The images shown here approximate the size of the pins and medals, except the image above. 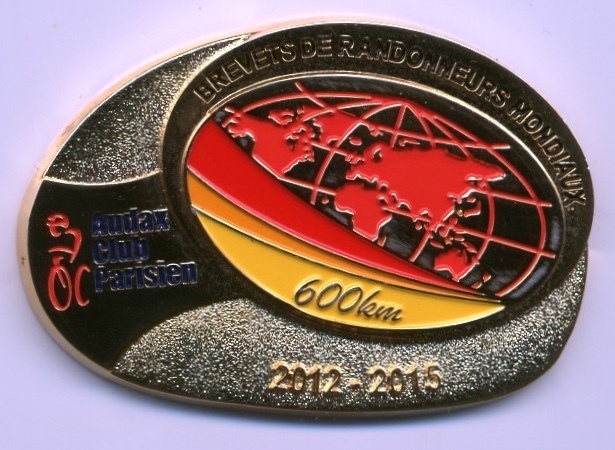 All pins were earned by British Columbia riders. 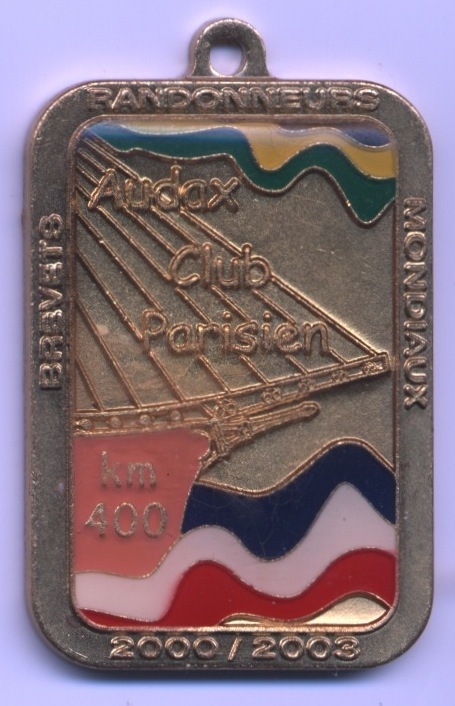 were called Francais earlier and Mondiaux later." 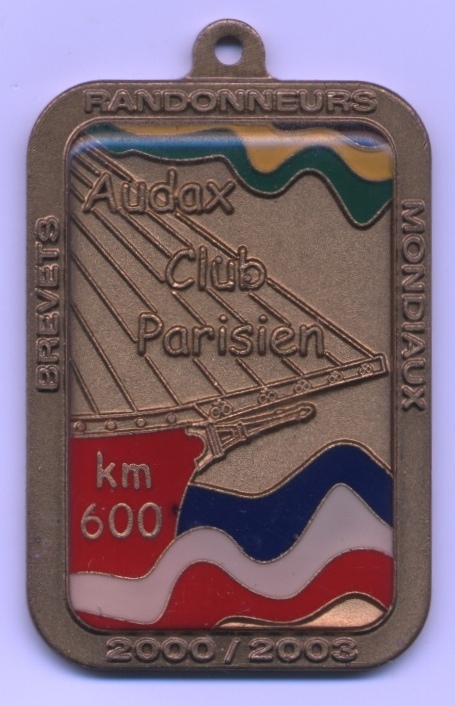 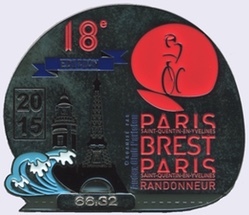 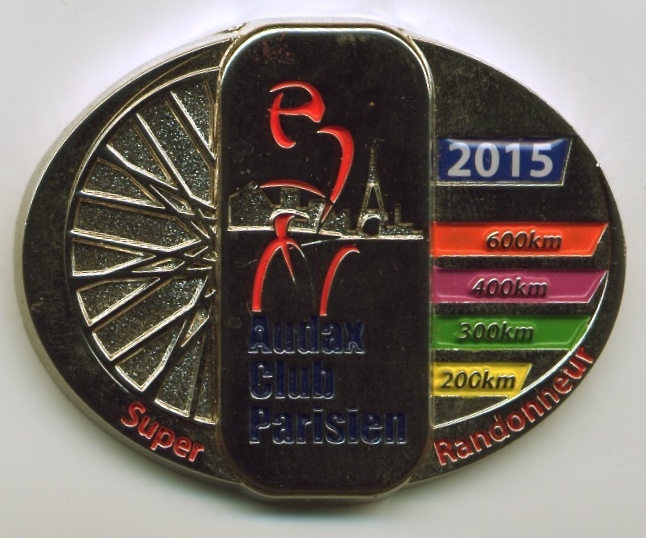 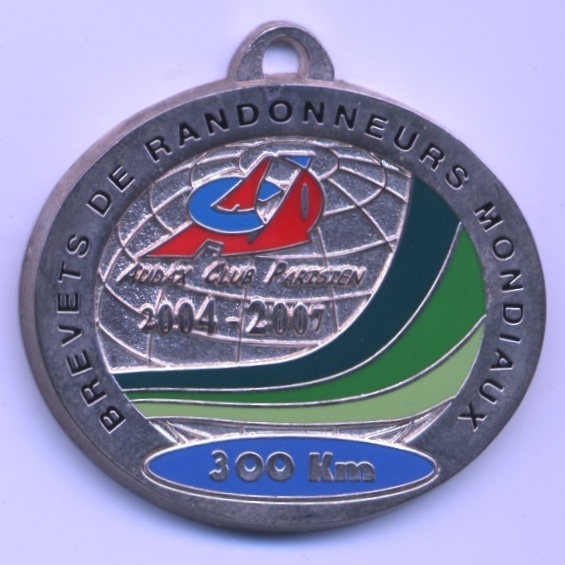 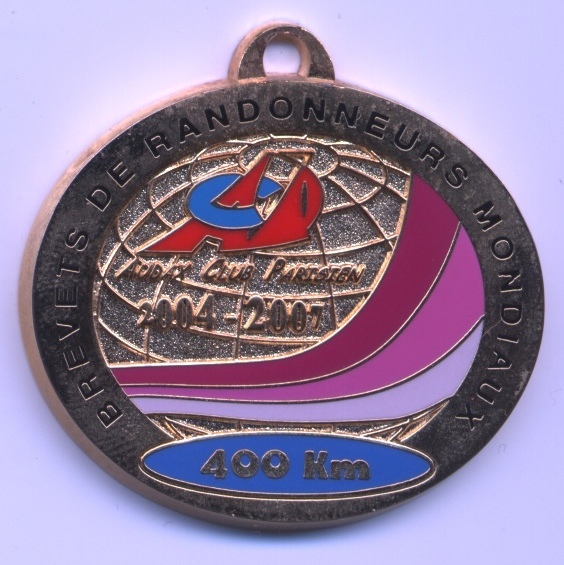 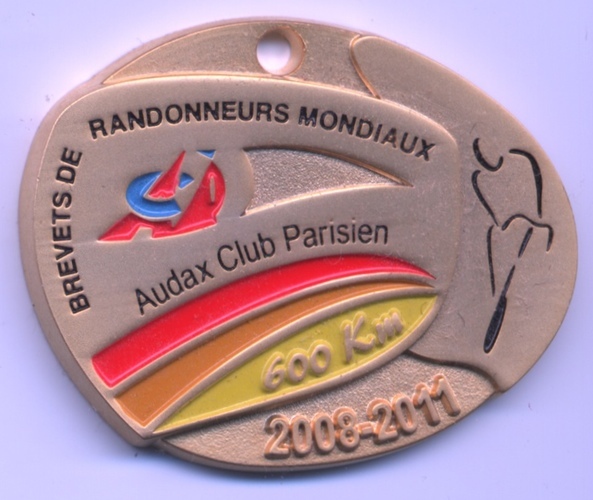 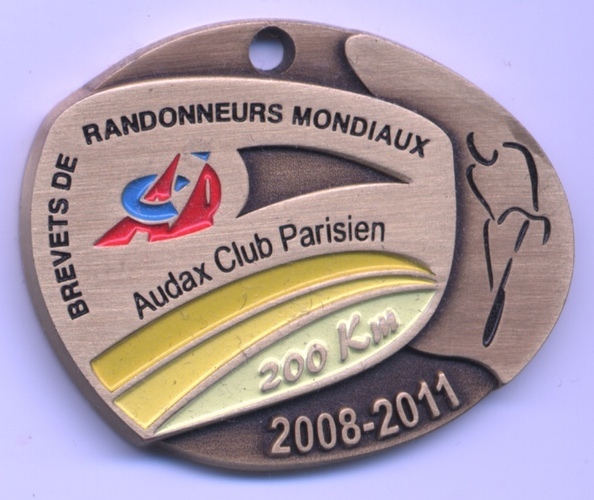 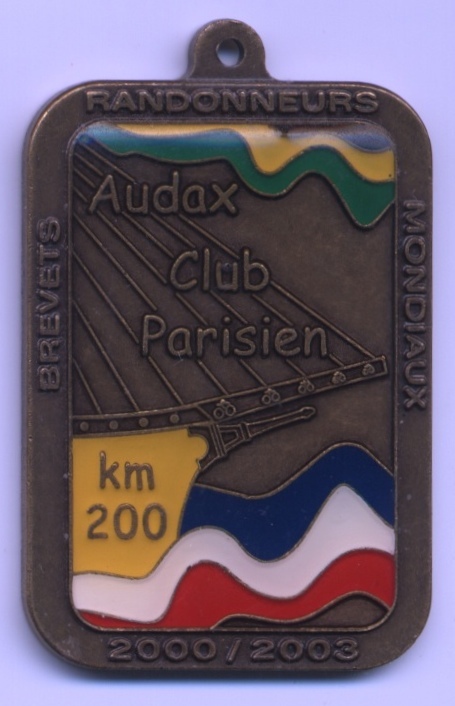 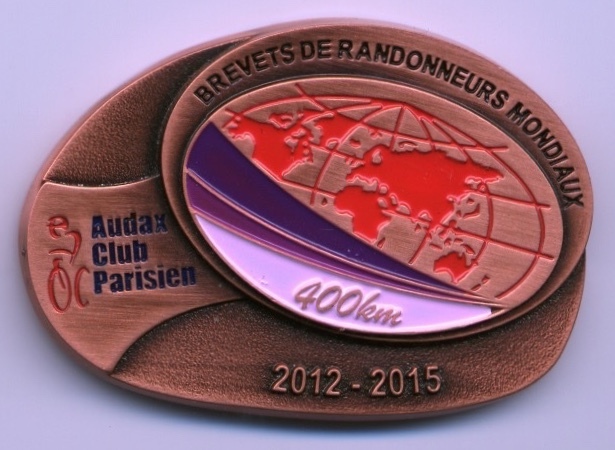 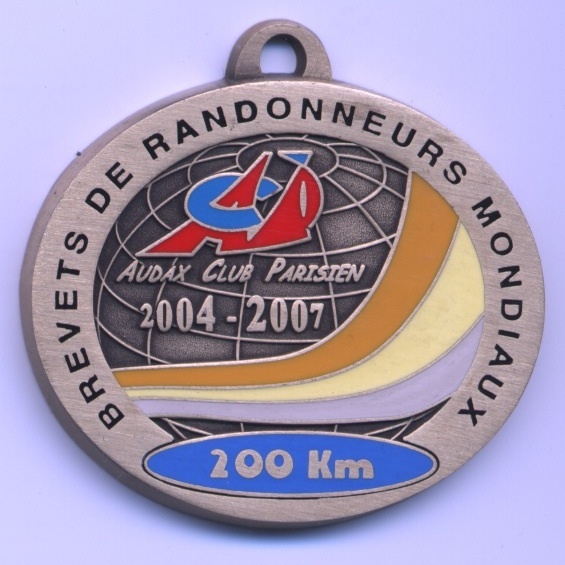 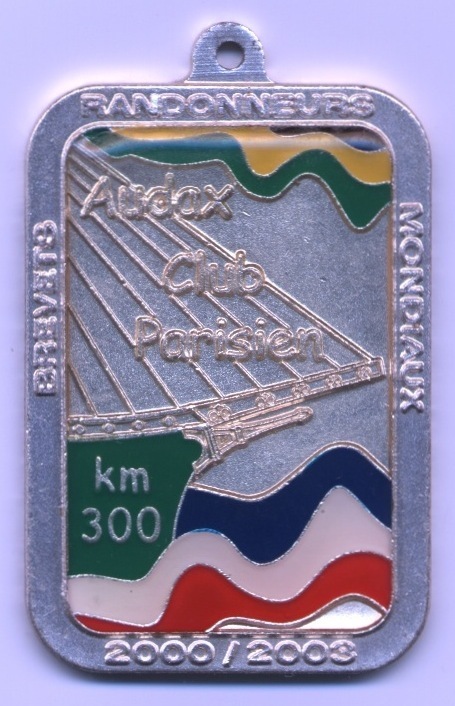 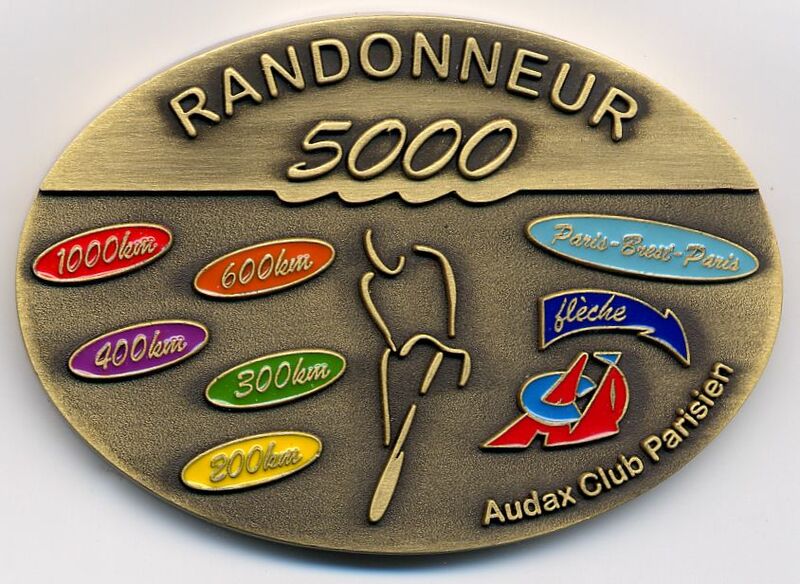 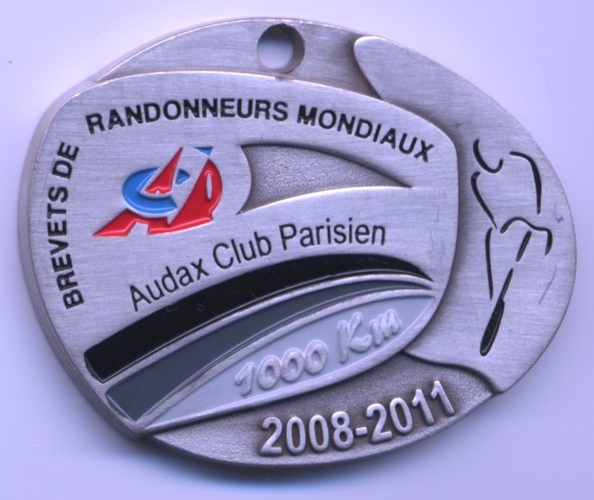 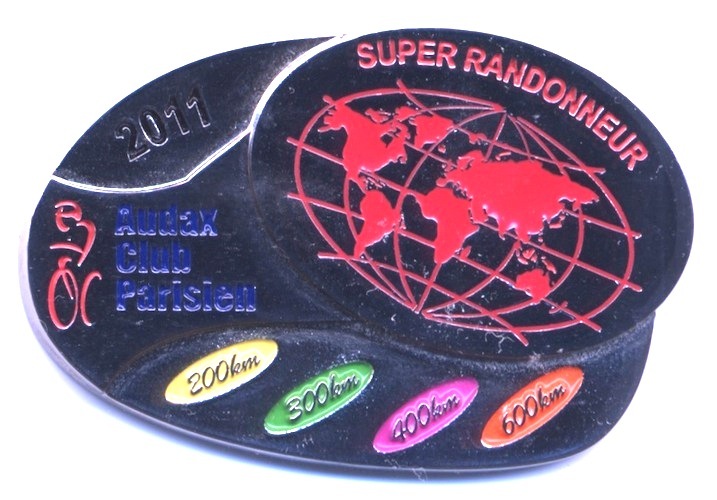 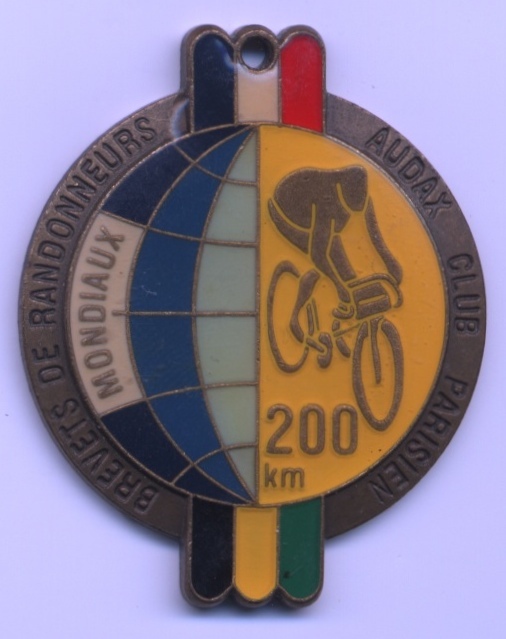 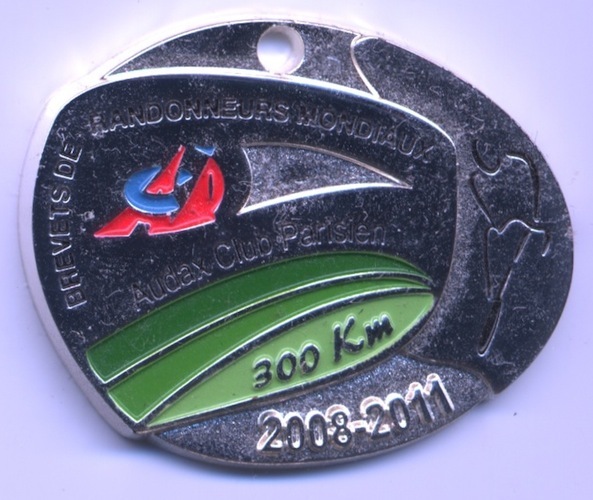 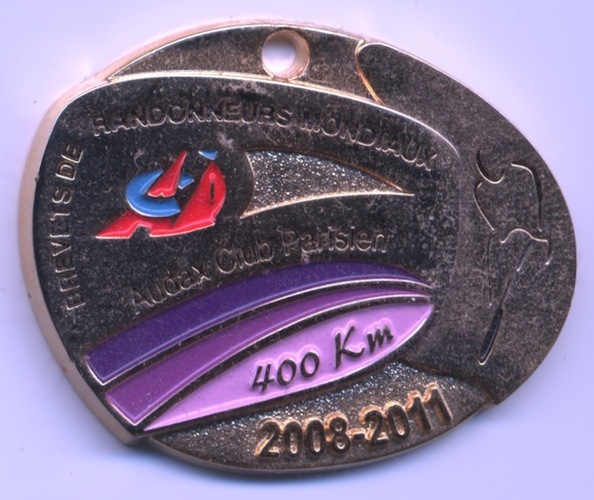 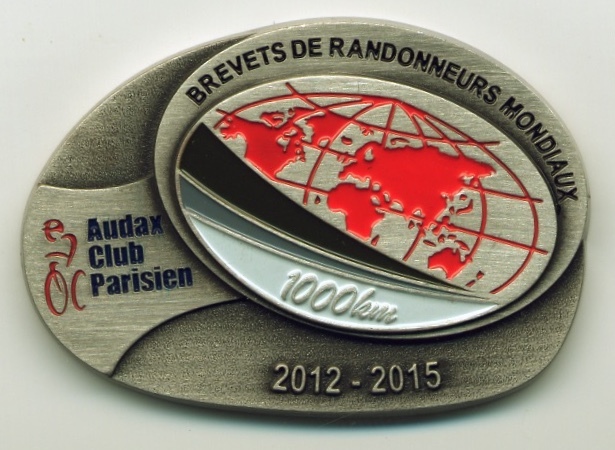 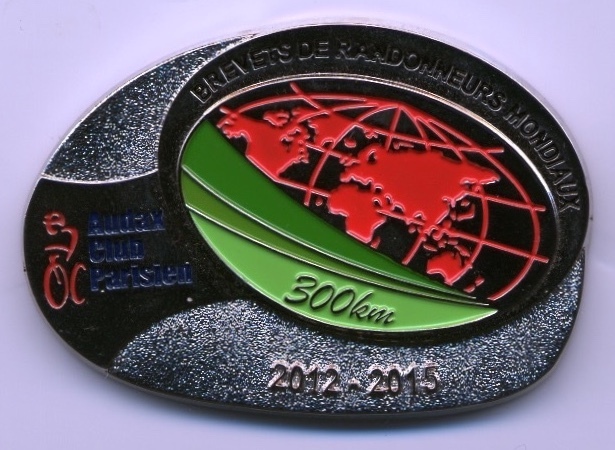 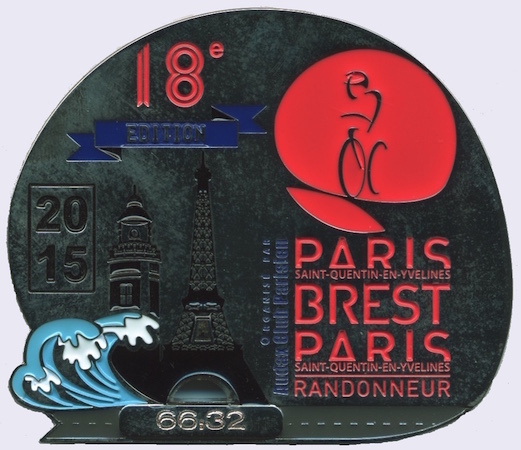 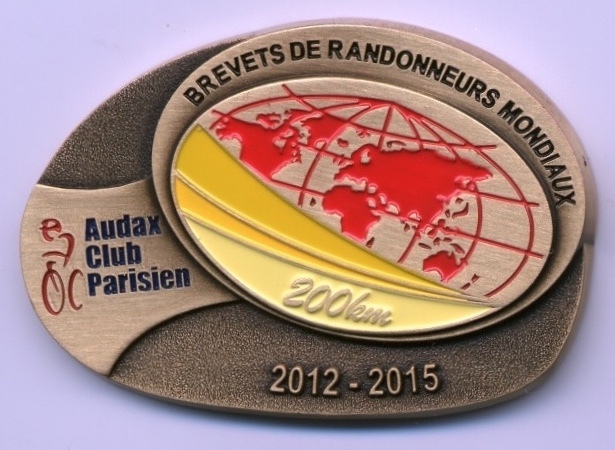 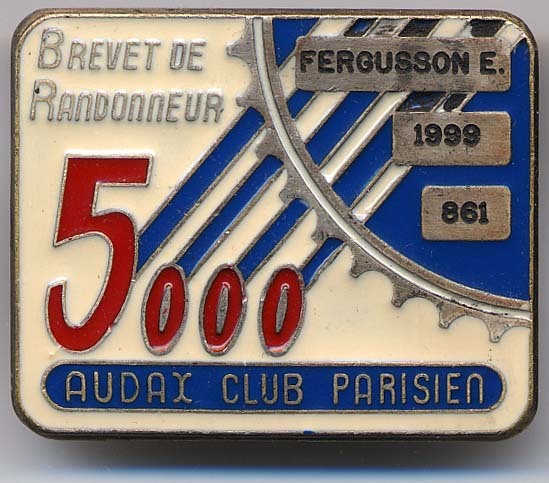 Note: The pins and medals on this page were all earned by BC Randonneurs riders. 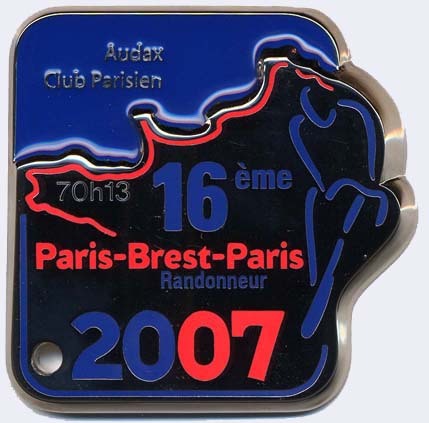 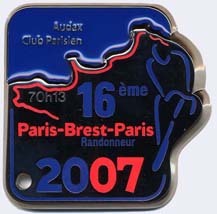 Elsewhere on this site, in the PBP section, there is a fuller record of PBP finishers medals - i.e. 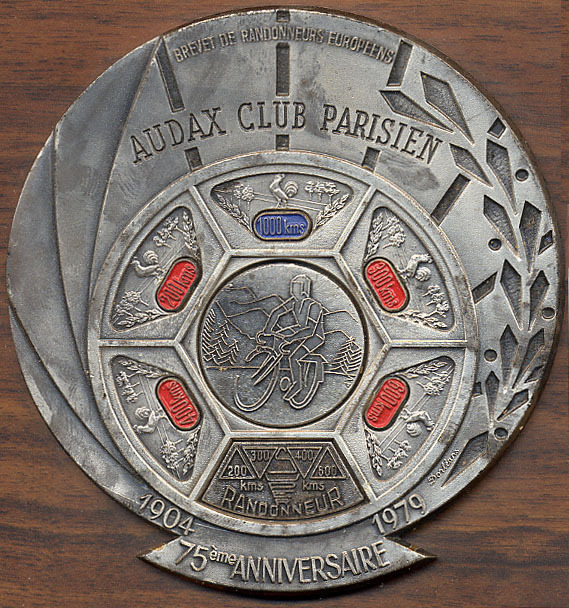 before 1979. 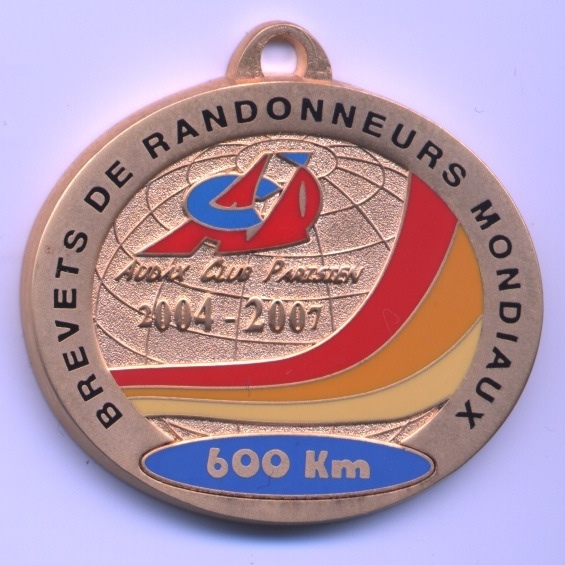 Go to: PBP Medals Achive.